Find a store How can we help? 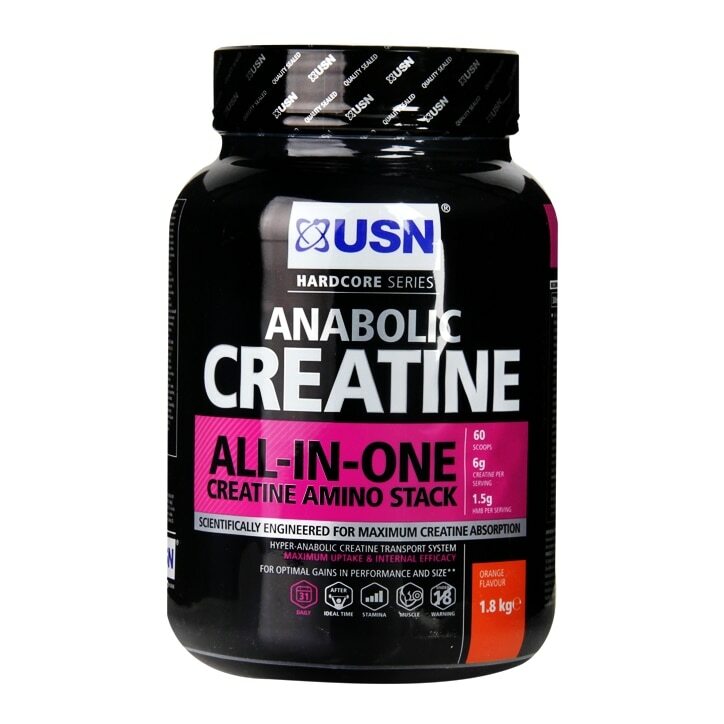 Creatine Anabolic is an advanced creatine transport and muscle cell rehydration system, designed to optimise performance during high intensity exercise. Containing 6g creatine per serving. You must be 18 years or older to purchase this product. During maintenance take six scoops (2 servings) directly after your workout. Dextrose, Creatine blend (HPLC 99.9% Creatine Monohydrate, Creatine Ethyl Ester and Tri-Creatine Malate), Taurine, Citric acid, Magnesium Phosphate, Anti-Caking agent, L-Glutamine, Disodium Phosphate, Flavourants, Potassium Phosphate, Alpha-Lipoic Acid, Sweetener blend (Sucralose, Acesulfame -K), Beta-Alanine, HMB, Colourants. Copyright ©, Health & Diet Centres Limited, 2016. All rights reserved. gnc.co.uk is a trading name of Health & Diet Centres Limited. Registered Office: Samuel Ryder House, Barling Way, Nuneaton, Warwickshire CV10 7RH. Registered in England: Company number 01981210. Registered VAT number 211727395.